Building a church is an exciting venture. It’s a powerful thing to watch God’s plan for your ministry literally shape itself from the ground up. That’s as true now as it was 100 years ago. And it was as true then as it was 1,000 years ago. People have been building churches for centuries, and the architecture has run the gamut from quaint wooden churches in small villages to massive cathedrals in major cities. As church architecture trends come and go, we have the luxury of being able to look back and admire some of the structures that have truly stood out over the course of history. We’ve put together this list of 5 of the most breathtaking churches in the world. Some are ornate, some are simple and picturesque, but they all have a unique story. Frank Lloyd Wright was originally supposed to design a similar structure in Europe, but World War II put a stop to those plans. Marguerite Brunswig Staude, a pupil of Wright, however, carried on the idea and designed the Chapel of the Holy Cross in Sedona, Arizona. 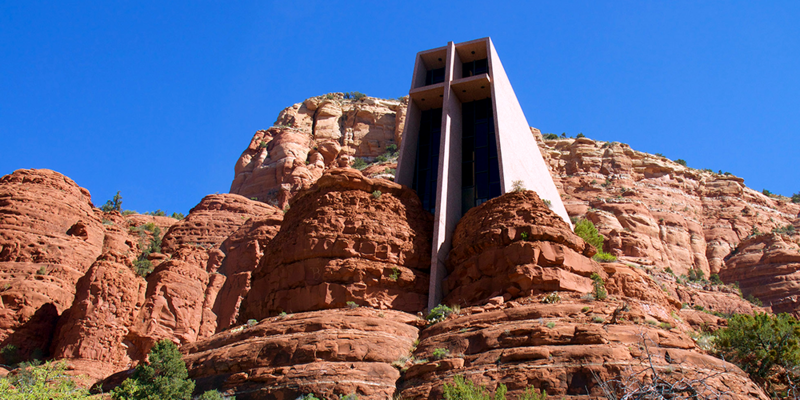 The structure was completed in 1956 and belongs to the parish of St. John Vianney in Sedona and the Roman Catholic Diocese of Phoenix. A weekly prayer service that takes places on Mondays at 5pm is open to everyone. 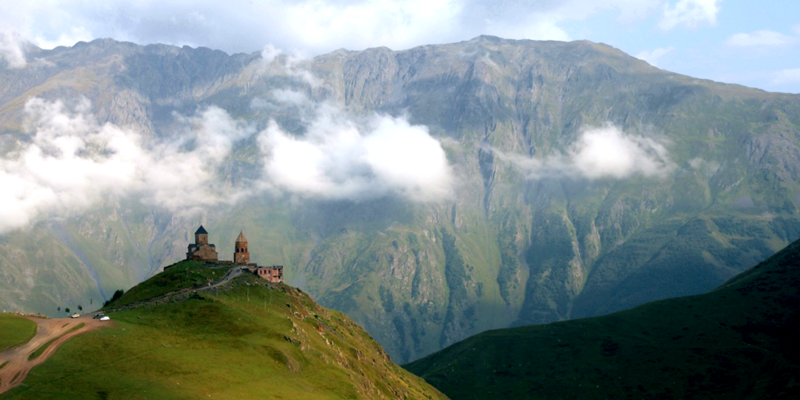 Placed perfectly near Mount Kazbegi near the village of Gergeti in Georgia, this church is picturesque from every angle. Built in the 14th century, it has served as a popular destination for worshippers, mountain trekkers, and tourists for 7 centuries. The building has also served as protection for religious artifacts during foreign invasions. All worship services ceased during the Soviet era, but now the church is part of the Georgian Orthodox and Apostolic Church. All visitors are welcome when services are not being held. Built between 1916-1949, the terrain around Los Lajas is not for the faint of heart. 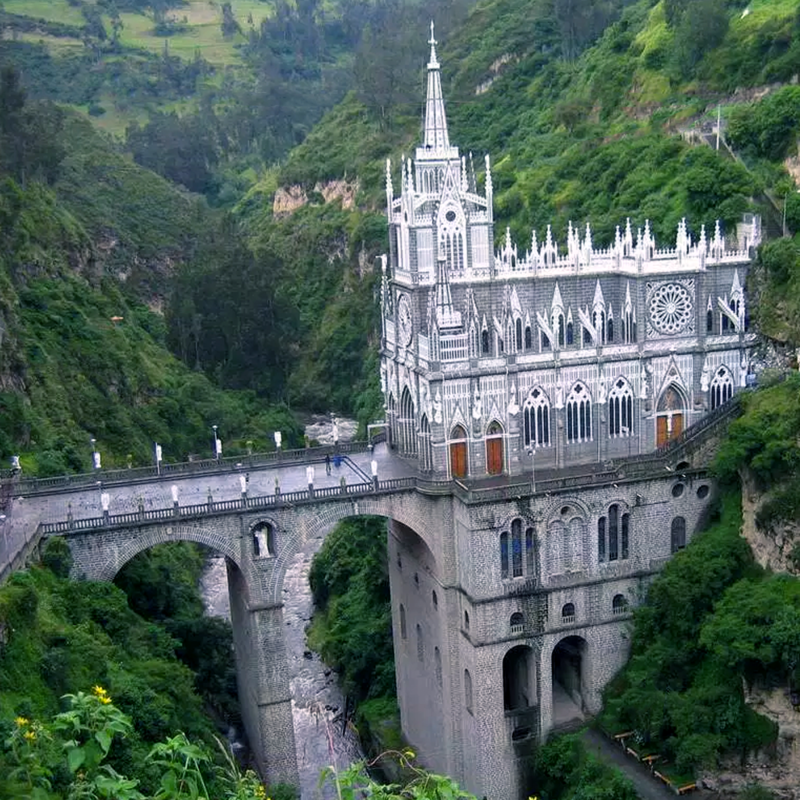 The structure crosses a forested gorge near the border of Colombia and Ecuador, but for those who are able to make the journey, the sight is truly breathtaking. The Catholic Church dedicated the sanctuary as a minor basilica in 1954, but all are welcome inside the building. The gray bricks and the neo-Gothic architecture contrast with a forested landscape and towering waterfall to make Los Lajas appear even more elegant. 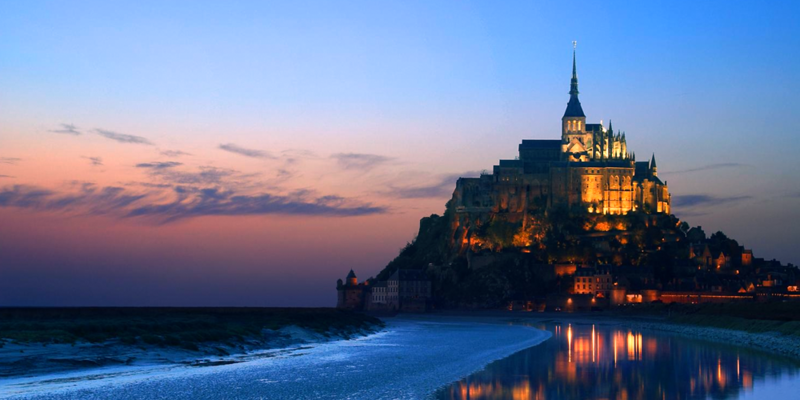 Le-Mont-Saint-Michel is an island commune in Normandy where the abbey is put on a pedestal—quite literally. The island, which can be reached by land during low tide, was built with a very specific hierarchy. God (the abbey and monastery) was to be the high point of the island. Below that, shops and residences. At the bottom, homes for fishermen and farmers. Today the abbey is still the island’s most distinguished landmark, drawing more than 3 million visitors a year. 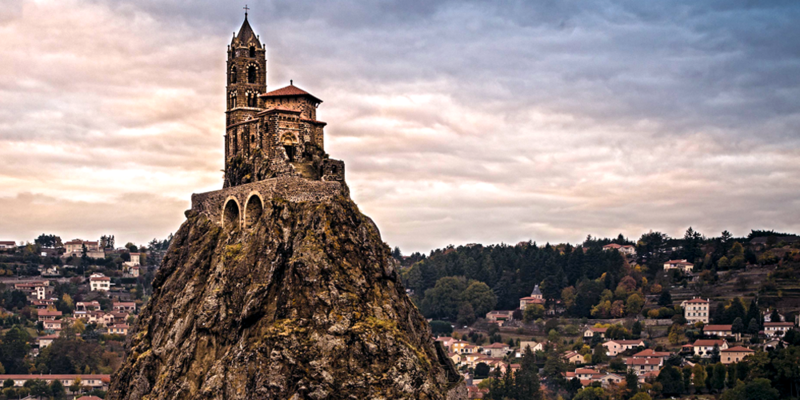 This pilgrimage chapel was built in 962 atop a 280-foot-tall volcanic formation projecting steeply toward the sky. This was not the first religious association with this site, though. Before Christians built this structure dedicated to St. Michael, the ancient Romans dedicated the location to Mercury. All are welcome to journey up the 268 stone steps carved into the rocks and enjoy a phenomenal view from the walkway that surrounds the chapel. If you have questions on whether now is the right time for your church to build, contact us by email at info@fcrinc.com or call us at 888.829.6877. We’ll discuss your situation and help you determine if building a new structure or purchasing an already-built facility is right for your growing church.